Jim is a graduate of the University of Alberta, holding a Bachelor of Commerce Degree (Honours) and a Law Degree. He has completed numerous industry courses, holds a Fellow of the Canadian Securities Institute designation and is licensed as a life insurance Advisor with TD Wealth Insurance Services. 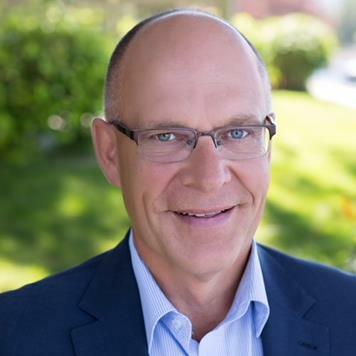 When Jim isn’t at the office, he enjoys spending his free time with family and enjoying the many things that the Okanagan Valley has to offer including biking, skiing and golfing. Jim is a part of CMB Wealth Management – a team of like-minded portfolio managers who communicate clearly, think strategically and act decisively. They have varied backgrounds in law, banking and professional sport, so each team member brings a unique perspective and different experience to your shared endeavor: helping you reach your goals. The team believes that effective wealth strategies are built on a foundation of trust, knowledge and experience. They all appreciate the time and hard work that has gone into creating your wealth and they know how important strong, proactive financial leadership is in ensuring that you continue to reach your goals – particularly as your wealth landscape becomes more complex. Sherry has been working in the Investment Industry since 1999. She joined TD Wealth in 2007 and enjoys providing administrative support to Jim and Andrew’s clients. She is a Fellow of the Canadian Securities Institute and has obtained her Canadian Investment Manager’s designation.